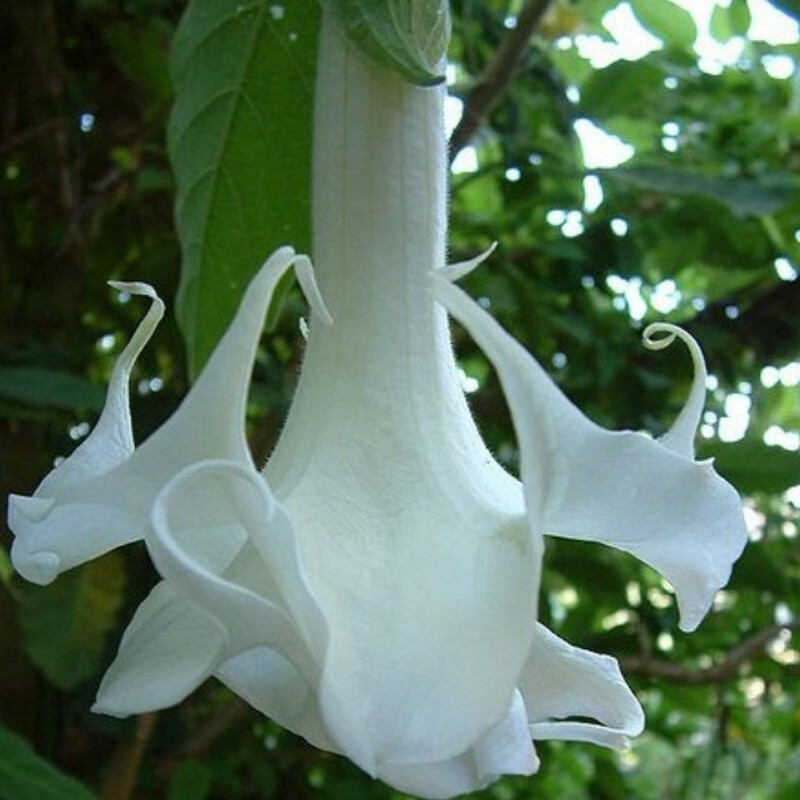 Pure white trumpet-shaped blooms emit a heavenly fragrance each day as the sun goes down. Plants can grow to 12 feet or more in the ground and up to 7 feet in containers. Blooming year round in warm temperatures, this lovely tropical plant has smooth velvety leaves with large 6 inch pendulous blooms that open in abundance in warmer months. At home in the garden, brugmansias can also be grown indoors in sunny windows but beware that they are toxic to people and animals. 20 weeks Pkt. 10 . Soak seed in warm water for 24 hrs. prior to sowing in moist potting mix ½ inch deep. Keep at 60-70 F. with high humidity and bright light. Transplant to 3 inch pots when 2 sets of leaves appear. Germinates in 15-35 days.